Nest was acquired by Google early in 2014 after the company won a lot of fans for its connected redesign of the boring old thermostat. 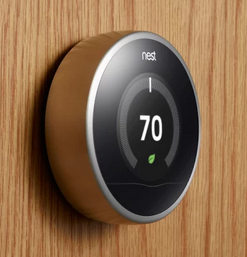 Nest can learn from your activities to keep your home at the right temperature and save energy. 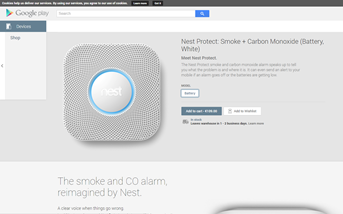 Next Protect is a similar take on a smoke and carbon monoxide detector. It can push alerts to the app and speak up to tell you if there's a problem. 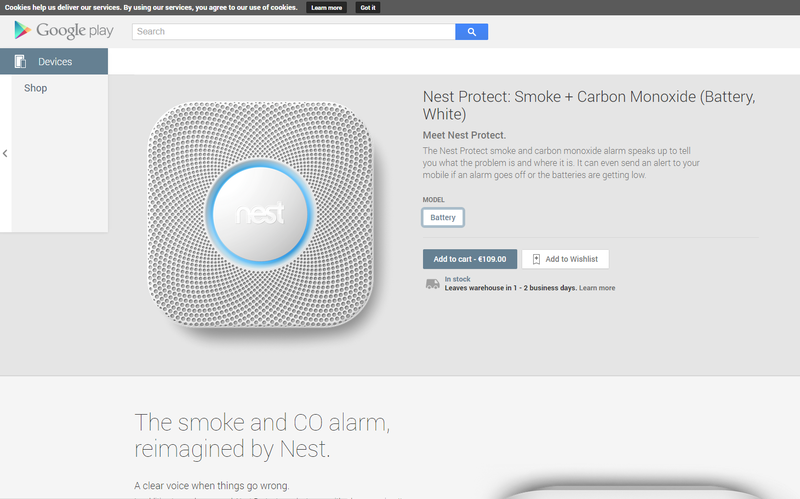 Nest and Nest Protect are available in the devices section of the Play Store now and should ship in 1-2 business days. Pricing is about what you'd expect. The Nest goes for €219 and the Nest Protect is €109. That's a little more than the US pricing when converted to dollars. 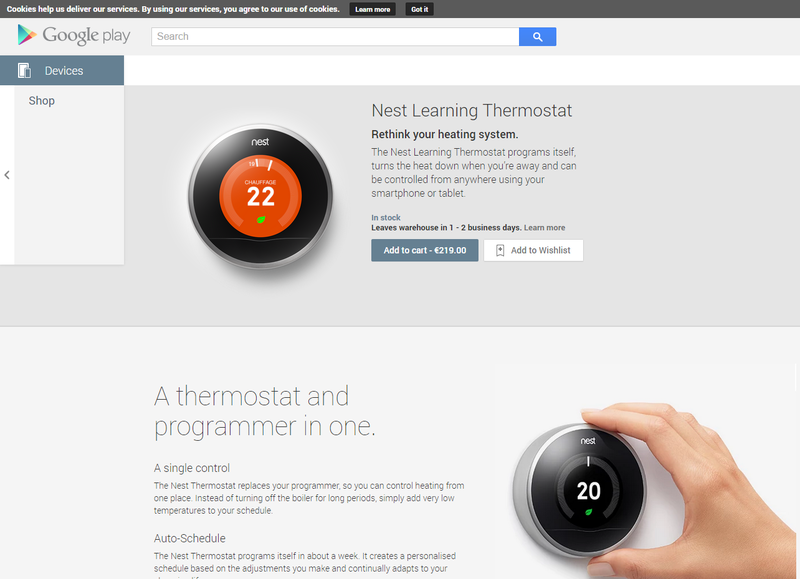 There's also a Nest stand in the European Play Store, which isn't listed in the US at all.